On this excursion from Halifax, head to Peggy's Cove for unique views of Nova Scotia's unique coastline and to learn about the history and culture! Pick-ups are available from select hotels for morning departures. Call the number on your voucher for more details. This tour has a minimum 8 passenger requirement and is subject to cancellation if minimum is not met. In the unlikely event of such a cancellation, a refund will be provided or an alternative will be offered. Join us on an unforgettable tour to the most photographed lighthouse in the world! Peggy’s Cove has been an artist and explorer's paradise for well over 150 years. This picture perfect postcard village on the rugged Atlantic shoreline, stands on solid rock above the crashing surf. The fishing village has long been a backdrop for tales of pirates and shipwrecks, and you will have some free time to explore the rocks, walking trails, village, and many quaint boutiques and gift shops in the cove. 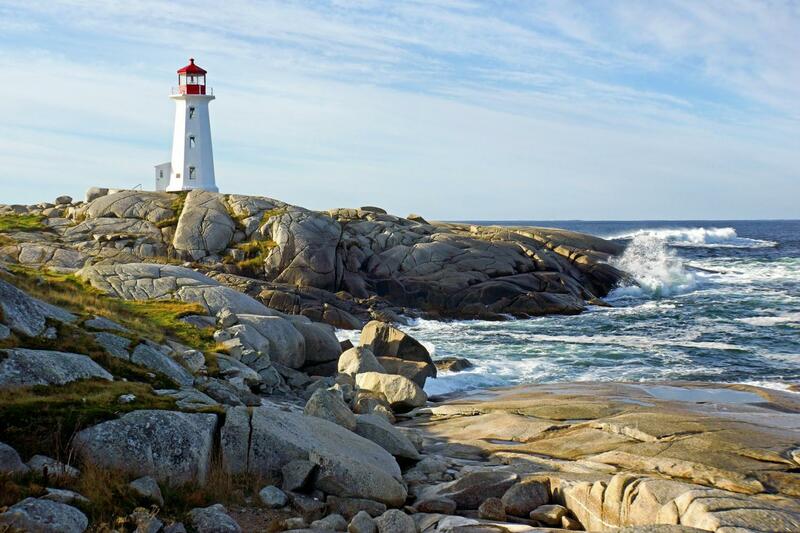 This tour will have your camera working overtime as you see the beauty of the Peggy’s Cove lighthouse against its powerful Atantic Ocean backdrop! Fantastic trip and guide/driver. His name was Ed. A lot of information and history along the way. très intéressant, beaucoup d'infomation sur la région a l'aller et au retour. Lovely tour - however, as others have said, I would have preferred more time at Peggy's Cove itself. 4 stars as the tour guide was friendly and knowledgeable, and Peggy's Cove was a gorgeous and wonderful to live up to the hype. My only criticism is that the time in Peggy's Cove was too short, I would wish for this to be a full day instead of a half day tour. The tour was great. Ed our guide was fun and very informitive. Peggy Cove was breathtaking. A longer visit would have been nice but did see everything there was.